Design Team Member Kay Miller found this cutie created by Ardyth. 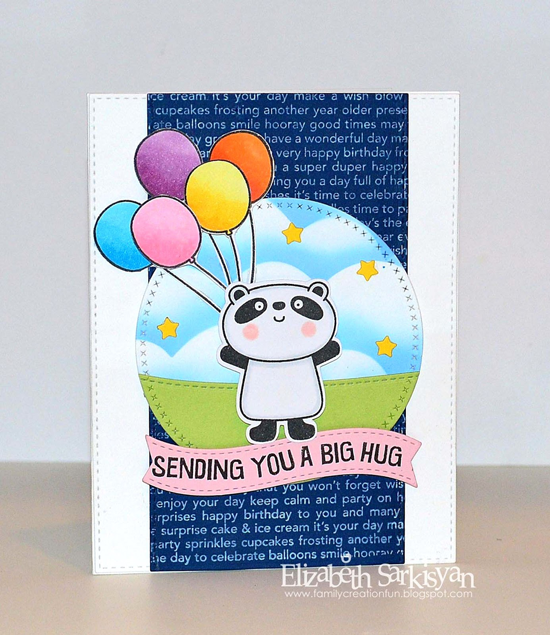 Kay says, "Love the amazing masking and coloring to create such a fantastic one layer card!" 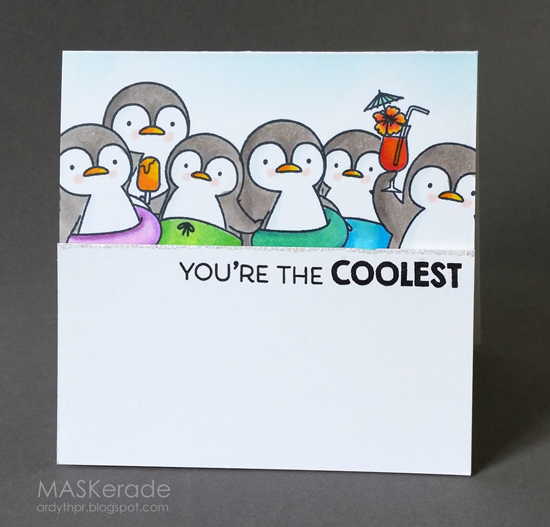 In her blog post, Ardyth says, "I was thinking about the Penguins of Madagascar and that made me think of my unused Penguins in Paradise set from MFT. A little masking and colouring and a big white panel over top of the messy stuff and voila - a clean but fun and summery little card!" 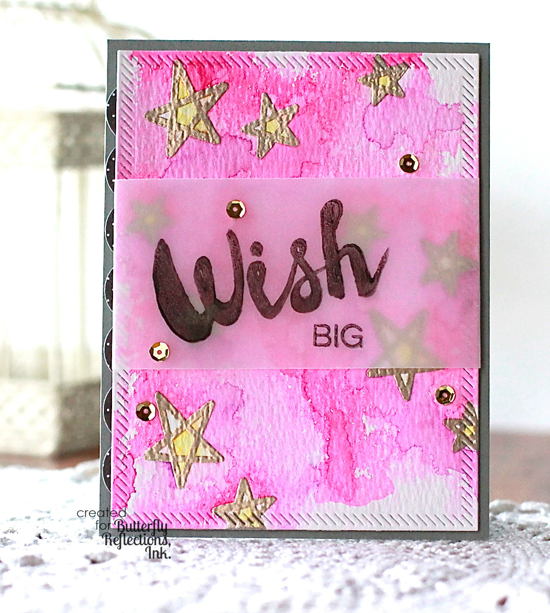 I spied this card from Angel on the Butterfly Reflections Ink blog, and I just have to say, "WOW! This is gorgeous!" Angel details her process to create the card HERE. She did some pretty fun techniques that you might want to give a try. 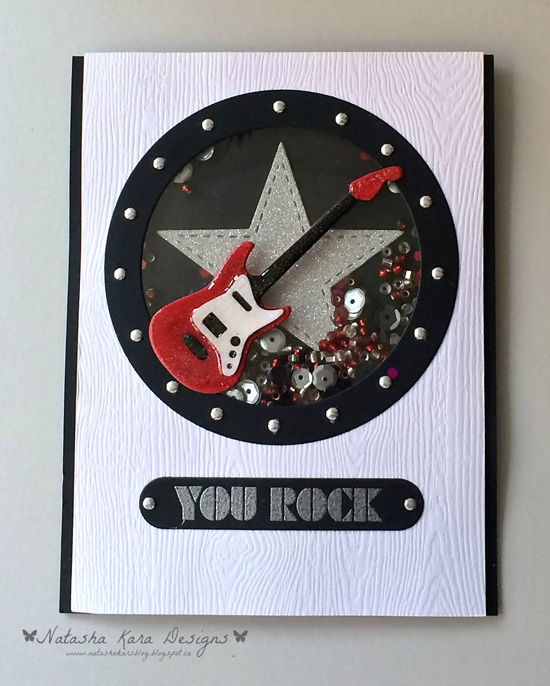 Challenge Team member Miriam Prantner spotted this card by Natasha that was submitted to Sketch 235. Says Miriam, "I totally love this! That guitar looks fantastic, and I love the shaker element!" Challenge Team Member Erin Lee Schreiner spotted this super cute card by Sara on Instagram. Erin loved how Sara masked the adorable piggie from The Whole Herd stamp set. And Sara admitted, "I have giggled the entire time I've been working on this card. It's a Piggy Polaroid!!" Challenge Team Member Jill Dewey Hawkins spotted Elizabeth's cheery birthday card that she created for a friend using inspiration from Sketch 235. Jill says, "The colored balloons add the perfect pop!" See you tomorrow for the next Sketch Challenge, and look for a new MFT Color Challenge on Thursday, July 23rd! Thanks so much, Susan! How exciting to see my card here with some other gorgeous creations! Wow! So much inspiration ladies! Well done! 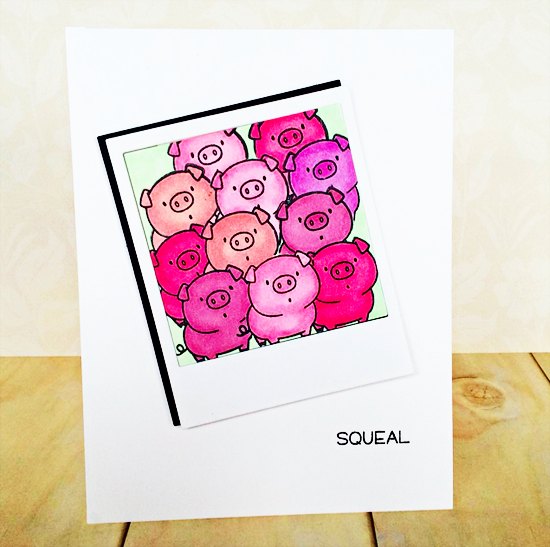 I'm tickled pink that my little piggies were spotted along with all the other fabulous cards. Thanks SO much. Wahoo! Thank you so much Susan for putting a big smile on my face!!! Love all of these cards!!! I'm so excited to be spotted along with all the fabulous cards. Thank-you so much Jill for spotting mine and Susan for letting me know. All of the cards are so wonderful and love this little panda.